ITALY, Rome. 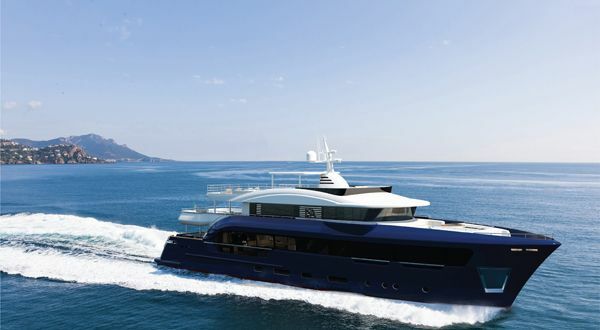 The Berlinetta series is a concept by Marco Casali Too-Design developed for Italian shipyard ISA Yachts. 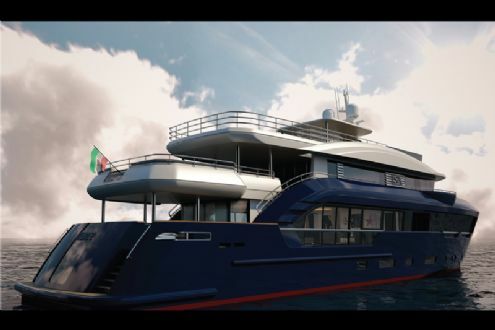 The design, which will be available as a 30m and 40m (the latter presented here), maximises the available volume on the main deck while ensuring the upper decks provide superior views out to sea. To achieve the sporty exterior look they were after, the upper decks have been streamlined and offer a lot of exterior deck space. The sundeck provides a seating area forward while a table amidships offers al fresco dining leaving the aft free for sunbathing chairs. 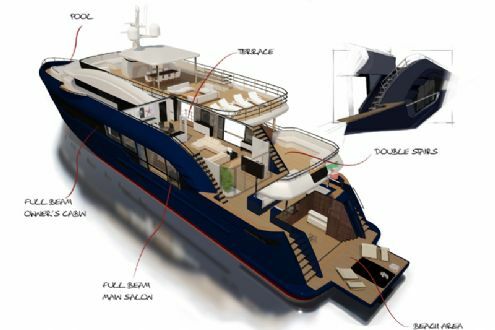 Forward of the upper deck is a seating area that overlooks the bow and includes a Jacuzzi and sun pads. 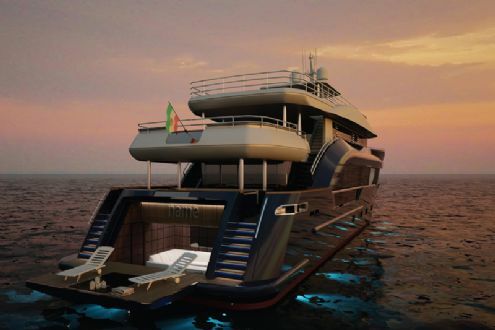 However, should the owner wish, this can be used to stow tenders. Forward of this is the dining area, which features a fold down balcony. 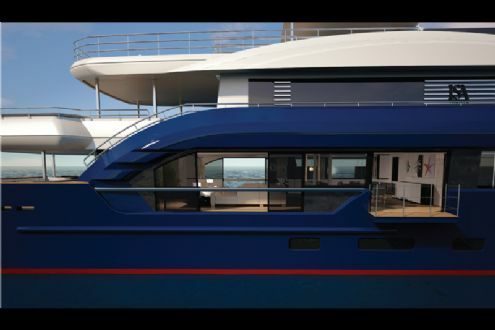 Casali explains that this was needed in order to ensure the sleek look of the exterior and to provide direct access to the main salon when boarding the yacht. The designer believes that this is the ideal location to have the main entrance, referring to trends in land-based architecture for direction. There is also a fold down terrace in the owner’s en suite. Accommodation is provided for 10 guests, with crew quarters located on the lower deck. 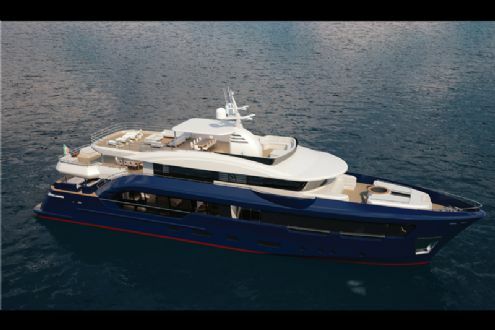 The steel and aluminium structure also features a beach area on the lower aft deck, which could incorporate a wellness space or could be used to house tenders.